Bot Framework for Messenger and Telegram. Save hundreds of development hours and make better ChatBots. There are 1,364 people in line. We are accepting only 636 more users for this beta by 30th of April. You're in list! We'll be back soon to give you a beta access. Meanwhile please complete the survey. 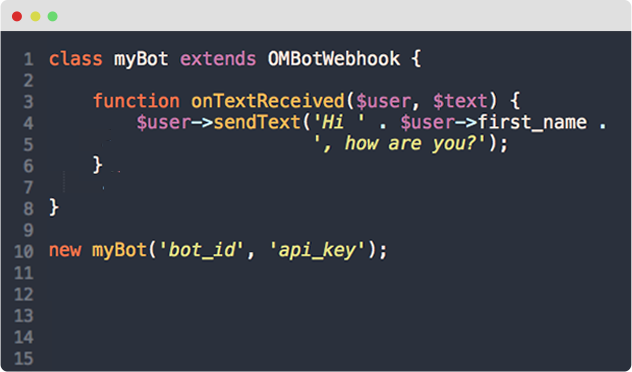 With 1 line of code you can send a message, with 3 you can handle a received message and reply. 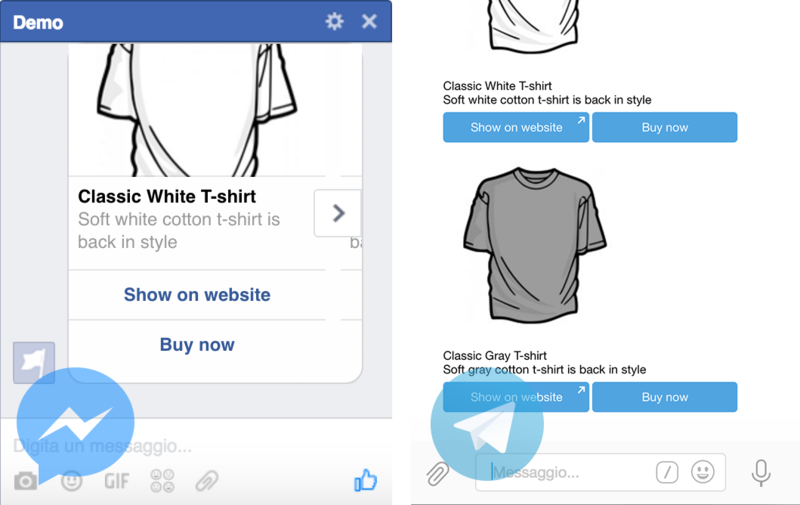 Here's the best: the code works perfectly both for Facebook and Telegram. The final platform is transparent to you! Real-time metrics about your bots. 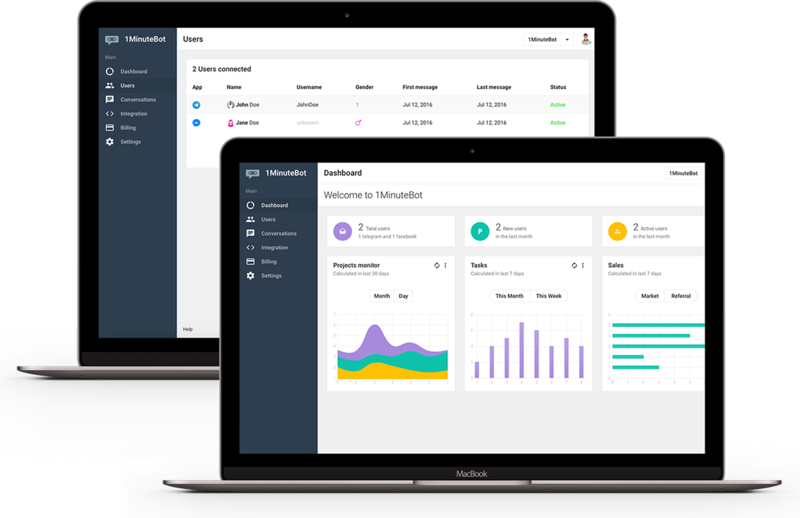 Active users, new users per day, conversations history and many other KPIs are available in real-time! $user->setAttr('fav_color', 'blue') and $user->getAttr('fav_color') in order to save preferences or anything useful. Get the maximum expressive power on any platform. There are different kind of messages either in Messenger or Telegram. For this reason we “adapted” these messages in order to make them meaningful in both the platforms. Let's talk about the price. The real question should be: how much do I pay if I don't use 1MinuteBot? The answer is: an SSL certificate, dozens of development hours to setup 2 different bots for Telegram and Messenger and other working hours of continuous maintenance that is thousand of dollars! While in Beta is Totally Free, then, only if you joined the Beta program, the early bird price would start from $9 / month. Get in line to access before everyone.